One of the first things you need to do when deciding what type of hosting to choose is to make a list of server specifications and technical requirements your website or business is going to need. All hosts and hosting packages are different and do not provide or support all technical requirements. Therefore, if they do not support the server specifications and technical requirements you require then you need to cross those particular packages or hosts off your list and move on. 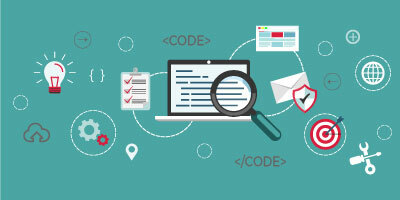 You’ll need to be aware of the coding languages and frameworks you will need, plus the versions of those languages. 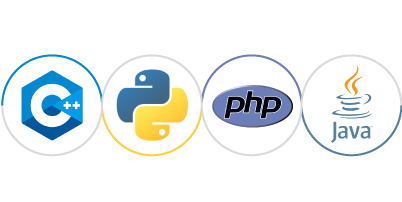 For example, a common language used by content management systems is PHP. If your site needs PHP version 5 and your host only caters to version 4, it won’t work. Does your site need a database? If your site is dynamic and not a static HTML site then you will need the ability to create a database. You will need to make sure your host can support whatever type of database you choose to go with; created in the coding language you decide on. You might need special software installed on the server. You will need to know what that software is in advance to make sure the host can support it. Some hosts just manage the basics so be thorough in your search if you require something specific. Know what it is you need so you can make sure they support it. It is also very important to know the difference between the terms you hear and often see on your account. The two terms that get mixed up often are Bandwith and Disk Space. Next, we will cover the difference between these two terms to try to clear up any confusion. Understanding the differences will enable you to make the best choice when deciding on a web host solution. One very important aspect is to always keep an eye on your space and bandwidth. You want to always make sure you have ample space to both. One of the worst things that can happen is when you’re updating your site and you run out of space. Is the amount of data transfer that is used on your account. This occurs every time someone visits or uses your site, an email is sent or received or files are uploaded and downloaded. Is the amount of space allocated to you on the server to store files, pages, emails, and more. You need to always keep in mind that as time goes on your site is going to grow so you will need more space and hopefully as it grows so will your following. When the time comes and you need to upgrade to a different package, a good website host will help you through that process smoothly and easily. Other important server specifications you may need to factor into your selection of a website host are whether or not the host performs regular security and maintenance checks, how many domains & email accounts you are allowed to have on the account and if they execute and store backups. When looking into website hosts you want to make sure they provide some security measures to protect their servers. Unfortunately, there are many hackers and spam bots out there trying constantly to find vulnerabilities and make their way into your site. You need assurances that your site will be safe from their side of things. You will still need to put in place your own security measure on top of this, through plugins and applications. But it is important to know what your host is providing. You want to make sure that the website host adequately maintains the server to ensure there are limited to no attacks. Check to see if the website host you are looking into has a security protocol which includes upgrades and patches. SSL Certificates are needed if you plan on hosting e-commerce websites. However, Google now recommends having one to secure your site even if you are not an e-commerce site. Google will begin marking non-HTTPS pages with text input fields; like contact forms and search bars — and all HTTP websites viewed in Incognito mode as “NOT SECURE” in the address bar. Therefore, it is highly recommended to have an SSL Certificate no matter what type of site you have. Having a backup procedure is extremely important when it comes to any business. 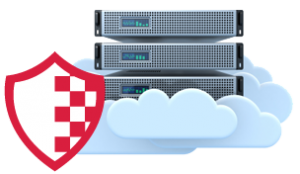 So when you are looking for the right website host you need to know if they do regular backups in case something were to ever go wrong your site can be restored. You should check, not only that your host performs backups, but also with what frequency. Ideally, you should look for backups every 24 hours so if something goes wrong, especially on a frequently changing site, you’ll never lose more than a day’s worth of changes. If you need email addresses handled through your host make sure they include it in the package you’re looking at and see how many accounts they give you. In addition to the number of email addresses you get does your provider offer any advanced SPAM & Malware protection? Having a secure inbox is crucial as cybercrime is increasing. Make sure you are asking the right questions and getting the protection you need. If you plan on having more than one site than you might not be able to have an entry-level package. Most website hosts will allow only a single top-level domain but multiple sub-domains or add-on domains. Therefore make sure you check to see the package you are looking into will provide what you require. Now that we have gone over the technical requirements and server specifications you will need to consider when it comes to your website, business and choosing a host – – you have almost all the information you need to make an informed decision on choosing a web host. Next time we will cover the top things you should and shouldn’t consider when choosing a website host company itself. 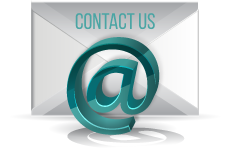 If you have any questions about technical requirements and server specifications please contact us today! We are here to help answer any questions you might have.